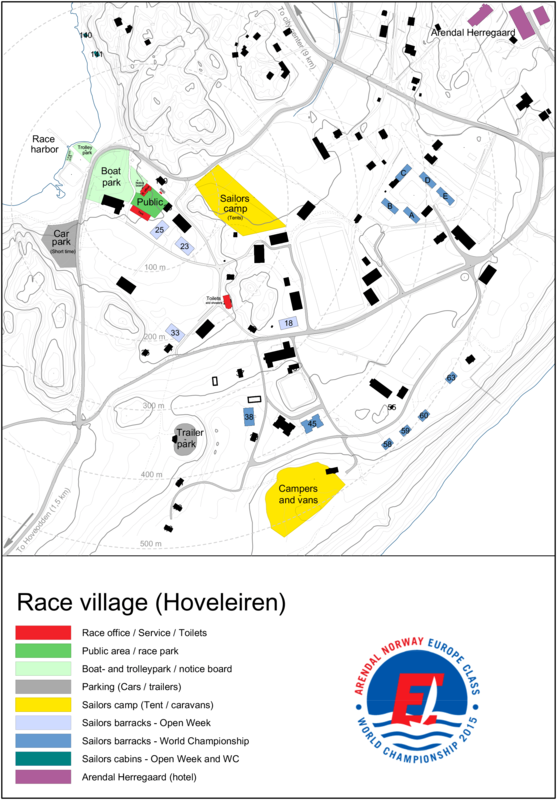 Hove Leirsenter offers barracks and cabins for small and large groups at hostel comfort. 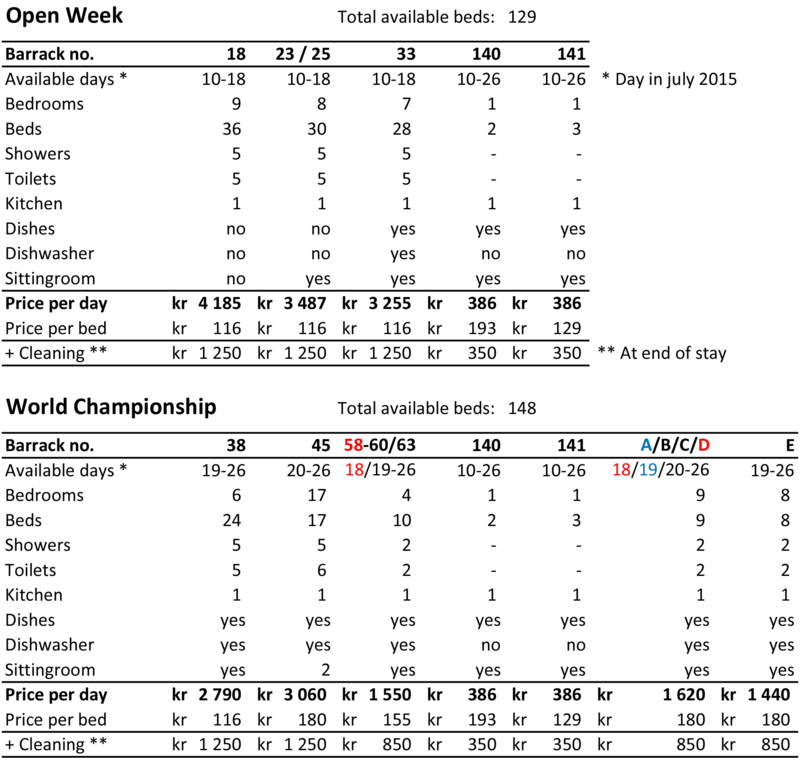 The map below shows which houses that are available for Open Week and World Campionship. Call +4737085221 or e-mail post(a)hoveleirsenter.no for booking or more information. PS! You can’t order only one room in a barrack/cabin, you have to rent a house. So please go together and make an early booking! 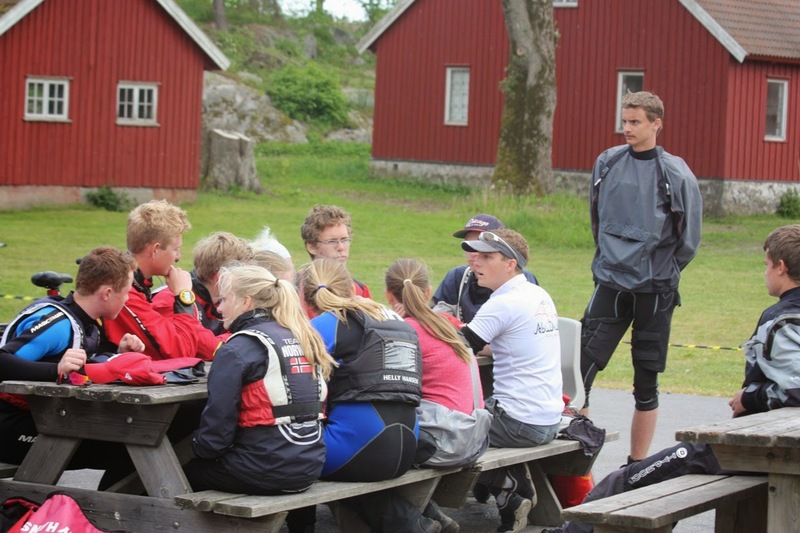 Arendal Yacht Club has reserved 3 barracks during Open Week. Untill 9th of June or untill it is sold out it will be posible to book a room with four beds in barracks with simple standard. Hove Camping has 23 cabins for rent with 3, 5 and one with 7 beds.